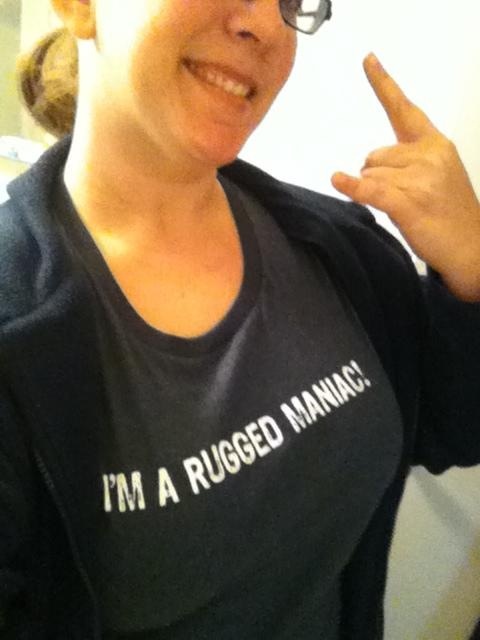 It’s been a busy week for the Bookaneer, preparing for the Sock Hop, learning more about library school, getting ready for the Rugged Maniac, and then spending my weekend crazy sore!! 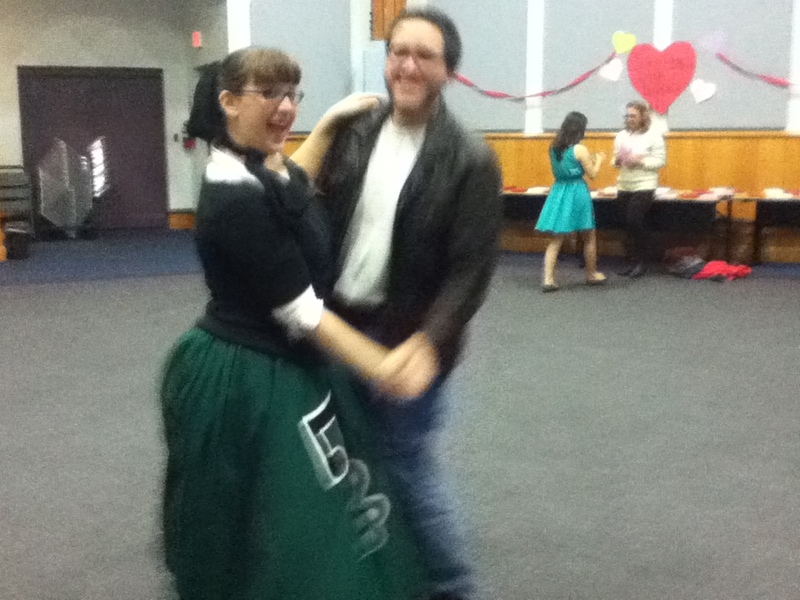 First of all, the Valentine’s Sock Hop was swell. I played awesome 50’s music for two and a half hours, people came and danced, and almost everyone went home with a blind book date! 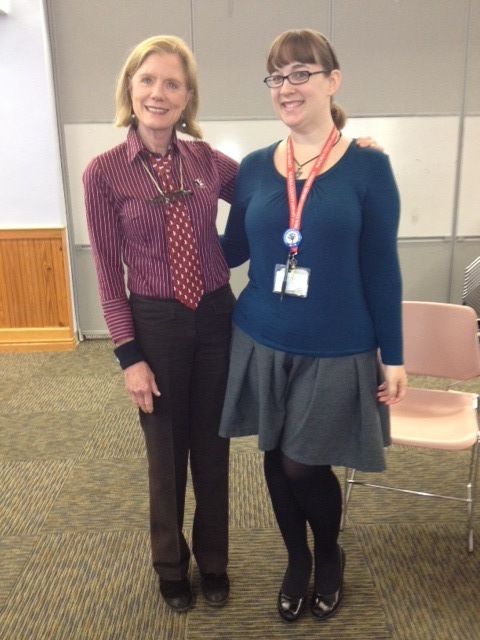 I got lots of compliments on my sock hop outfit, too, which turned out really well! 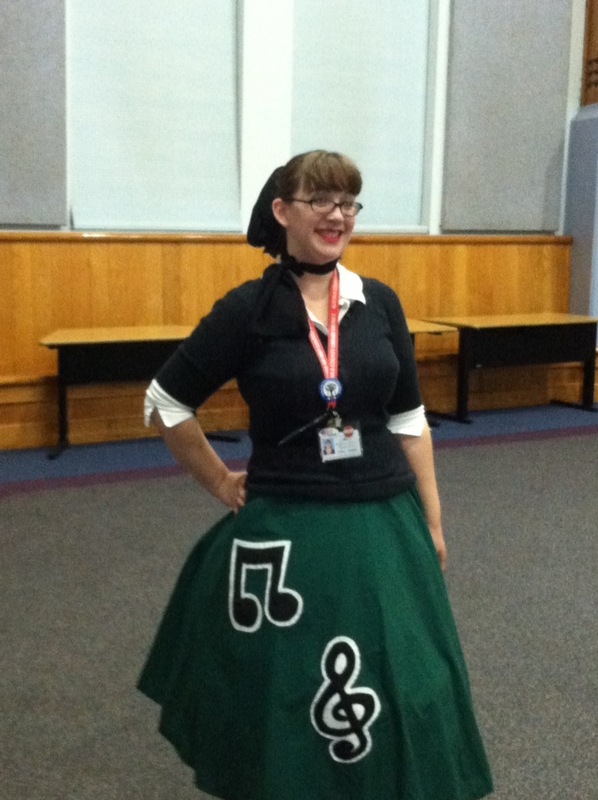 My friend MW let me borrow her poodle-style skirt (which had music notes and a treble clef, no actual poodles involved) and made me a sweet petticoat out of basically thin air. I spent some time skipping around the library, delivering My Little Pony and Minnie Mouse valentines to my coworkers. It was a lot of fun! Check out that high pony and awesome neck scarf! Of course, the set up went a little wonky, and my laptop wouldn’t work, so I had to borrow one last minute from my department. It all worked out in the end though, and the decorations turned out really well! 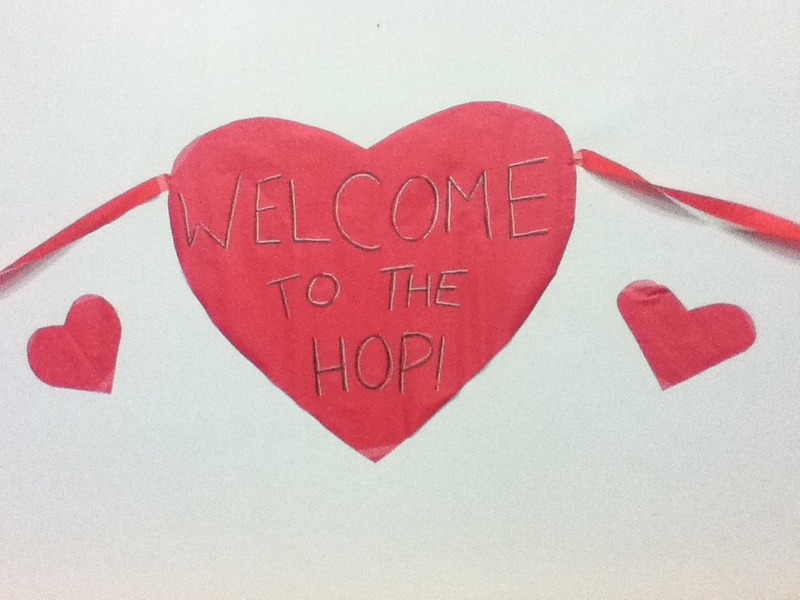 The welcome sign: I was going for a “high school dance” feel. Everyone liked the Blind Date with a Book theme, though it took a couple girls a few times explaining to get it: “no, you can’t open it to find out.” “It’s a surprise! Go check it out!” They seemed happy with their choices in the end though; I hope they have a great date! My friends SD, CC, and AT showed up as well, and we had fun dancing together and talking about books. AT even signed up for a library card that night to check out one of the blind date books! I was SO. PROUD. And SD showed up in costume and we had a lot of fun dancing! All in all, it was a really great time and I’m glad my first program went off without too much of a hitch. Friday morning, I went to a NEFLIN training on “Getting the Most Out of Grad School”, which turned out to be more of a recruiting program, but I still learned a lot. Dr. C Koontz gave a great presentation, and she used me to give examples to the other attendees about how online grad school works. She was really cheerful and supportive, and it was a genuine pleasure to meet her! I hope I get the opportunity to take some classes with her in the future! 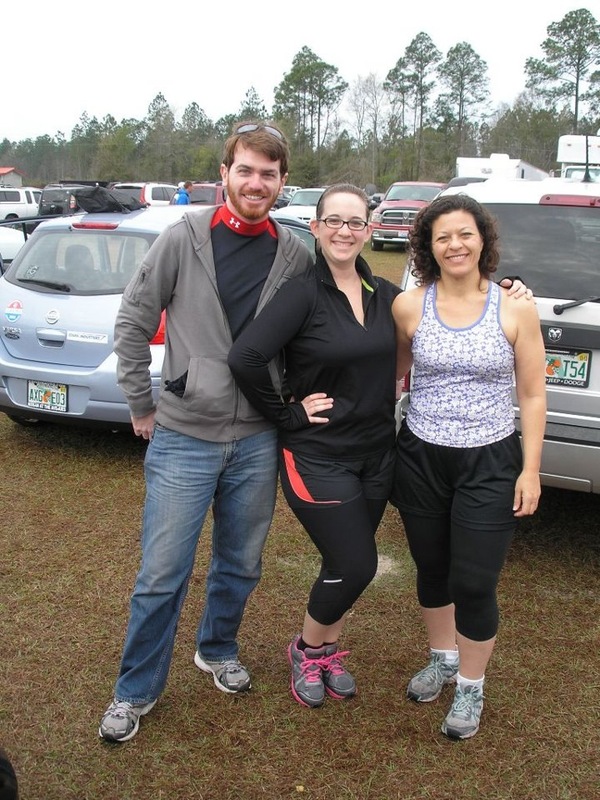 On Saturday morning, the Brash Librarian and I headed out early with our friend OH to the Rugged Maniac Obstacle 5K. 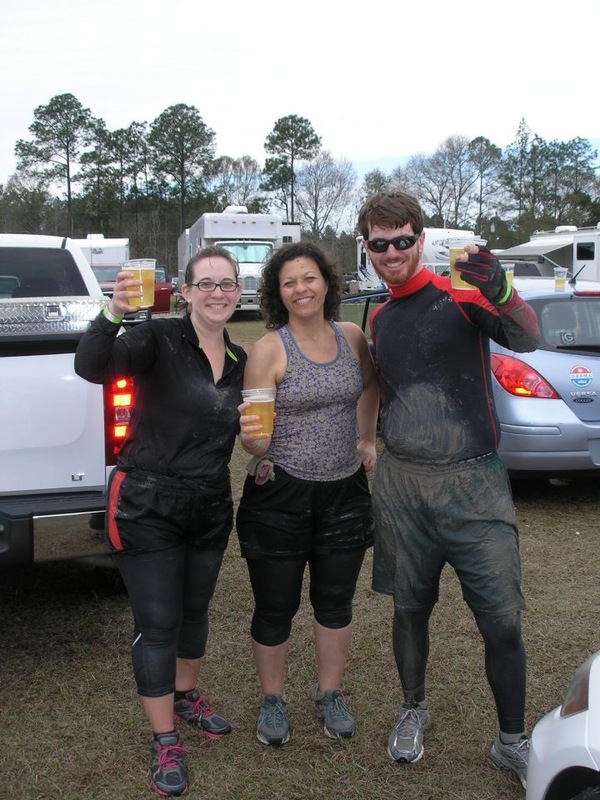 It’s 3.1 miles of mud, fire, high walls, rope nets, freezing water, and the reward of a cold beer at the end! And the AFTER! We had so much fun! Spent a nice cold morning getting dirty, and I got the T-shirt to prove it! It’s on the shirt, it must be true! I spent the rest of the weekend recovering. I’m running in the Disney Princess Half Marathon this coming Sunday with my friend TG, and I’m not sure I’ll be ready! Eek! Coming up this week: pictures of displays, and hopefully a read-along video? I have a couple picked out. We’ll see! 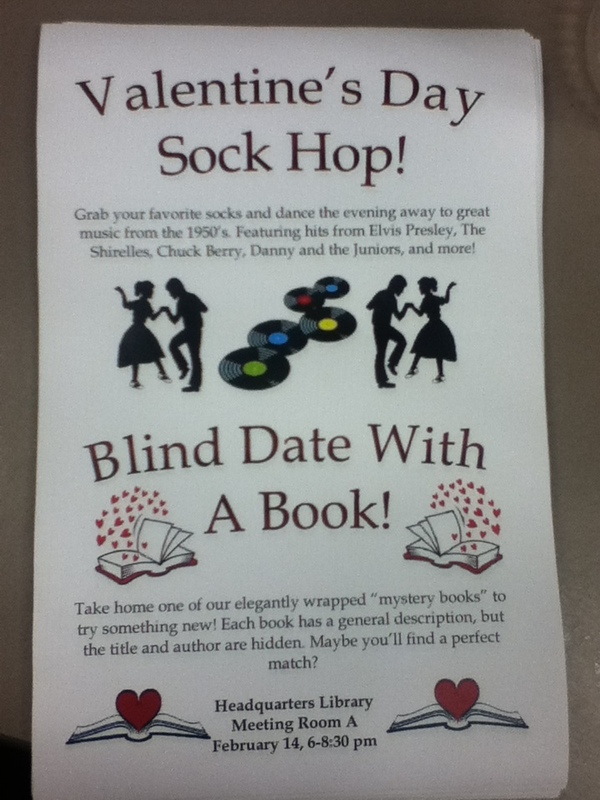 Valentine’s Day Sock Hop + Blind Date with a Book! I have mentioned this on Tumblr and Facebook, but I wanted to expand upon it here: my very first program is coming up next week! 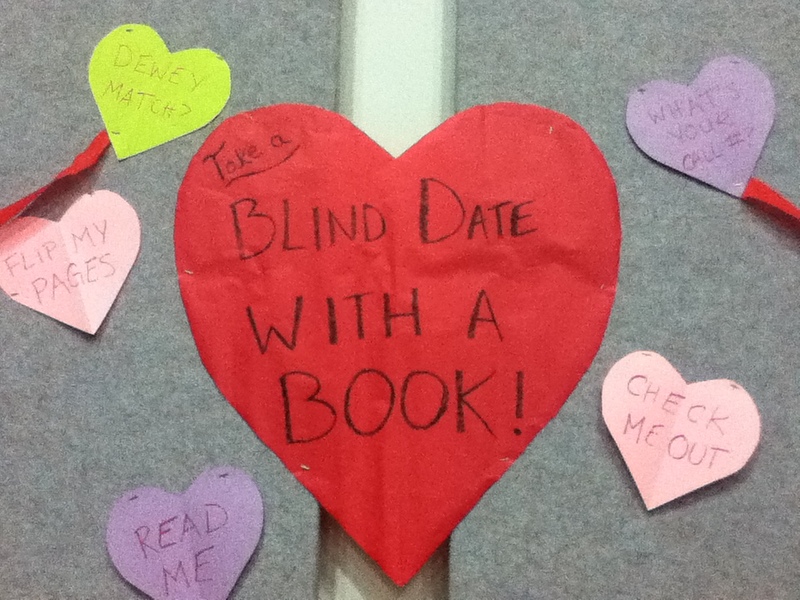 I’m throwing a Sock Hop on Valentine’s Day, and I’ll also have a display set up for “Blind Date with a Book”! 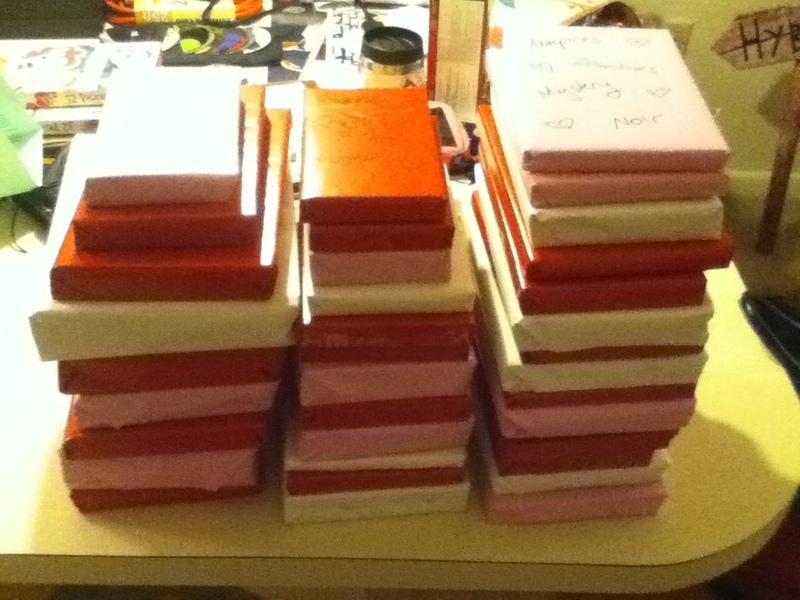 These are the piles of “elegantly wrapped” books for the program, sitting on my kitchen table. I still have about ten more to do, but thankfully I had my friend and coworker DW to help me wrap them at my craft night last night. We did have a few moments of “wait, what book is this? I can’t see, I don’t remember what it was! Oh no!” but we ended up figuring them all out. Each book has a few vague descriptive words like “nonfiction” or “mystery” but are otherwise wrapped in festive pink, white, and red wrapping paper so you can’t see the title or author. If you grab one you should be able to just scan it via RFID to check it out. Surprise! I grabbed the idea from tumblr, and I can’t wait to see it in action. I did have some trouble choosing the books; there are SO MANY available and I tried really hard to pick books besides just ones I’d like to read. I have a wide range of tastes though, and I got several recommendations from a few of my coworkers, so I think it will turn out fine. I’m really excited! I’m working at the library this weekend, so I’ve got to go to bed now so I can wake up early and finish my homework before work (grad school is hard!). Feel free to stop by and say hello!